Our web design, website development, and graphic design business started 20 years ago in our hometown of Wake Forest, NC! I guess being here for 20 years says something about our love for the Wake Forest area! Have you ever had a hot dog from Shorty’s on White Street in downtown Wake Forest? Have you attended Friday Night On White concert series during the summer? What about a pickup soccer game at the MVP sports complex located in The Factory? Wake Forest has grown so much, and just like our neighbor Raleigh, Wake Forest offers something for everyone while keeping the hometown feel. In some ways, the business climate is different in Wake Forest than in Raleigh because of the greater opportunity for local business to business interaction. Owning a business in a smaller town can have its unique benefits! Being on the Wake Forest Chamber Of Commerce Board of Directors, we are able to put our finger on the pulse of the business opportunities and business climate in Wake Forest. If you think business may not be dynamic in Wake Forest, come check out all the growth on Rogers Road! Because we understand these opportunities, we are more than just a web design firm. We want to be a partner on your journey. We start by offering our clients the ability to work exclusively with WordPress in their web design. One of the best things about WordPress is that it grows with your business as you grow. WordPress allows you to add new functionality as you need it. WordPress also allows us to create beautiful responsive, mobile-ready website designs. 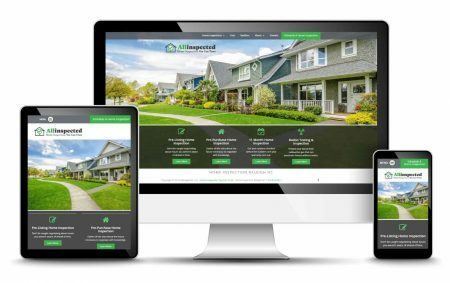 Since most searches are completed on mobile devices by people on the go, responsive websites are a must-have. Have Questions About A New Web Design Or Graphic Design Project?